Today is Giving Tuesday. A day after the biggest shopping weekend of the year in which people can stop and think about helping others. Parents, do you take the time to model generosity with your children? Compassion? Do you teach your children that they can make the lives of others better through their actions? It can be by donating money, volunteering your time, sharing information, or simply listening. It comes as no surprise, I'm sure, that my focus is on preschool and early education. And so I want to share with you a program that has become dear to my heart. One that deserves support for the value and importance it plays in the lives of so many Latino children. I'm so happy to be part of #TheStoryOfEmma campaign by #CollectiveBias. This year I've chosen to donate to Mi Escuelita Preschool in Dallas, TX. They serve "working poor" families living at or below the poverty line. A non-profit, Mi Escuelita provides these families with quality preschool programs, helping their children to learn English so that they can transition directly into English-speaking kindergarten classrooms without the struggle of a language barrier. They also prepare these children for kindergarten by teaching basic skills such as pre-literacy, pre-math, and social skills that help them excel in school. Every 2 minutes, a Hispanic student drops out of school. I wonder, exactly how many of these children attended a good preschool? How many started kindergarten already behind or struggled to learn the language? Last year in DISD, 51% (that's over half!) of the children entering kindergarten were categorized as Limited English Proficient (LEP). In the Dallas Independent School District, the graduation rate for Hispanic students is 67%. But LEP students only have a graduation rate of 44%; most are Hispanic. This is why schools like Mi Escuelita are so important. I wish there was one in every town in the country. They actually save our country so much money because they alleviate the need for expensive bilingual education and reduce the need for remedial English instruction. I was born in Dallas. My first language was Spanish. And because education has always been (and always will be!) something extremely important to my mother, she made sure that I attended a Montessori school for preschool and kindergarten. I went on to attend private schools on scholarships, because luckily, I learned English well enough to enter and excel in these English-language schools. I didn't start behind and then struggle to catch up as so many do. And those schools provided me with so many opportunities that I might not otherwise have had. 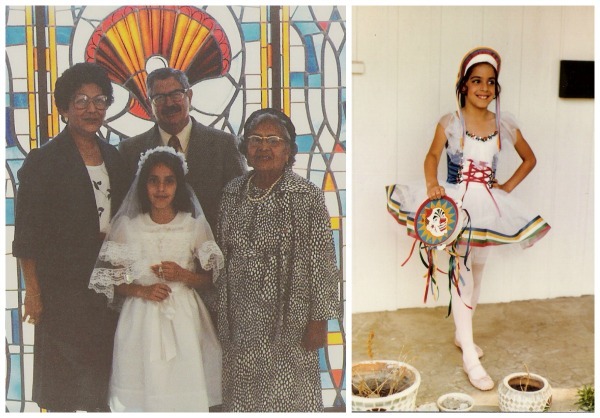 From ballet to piano lessons to French, I was lucky to have access to these classes which broadened my view of the world. 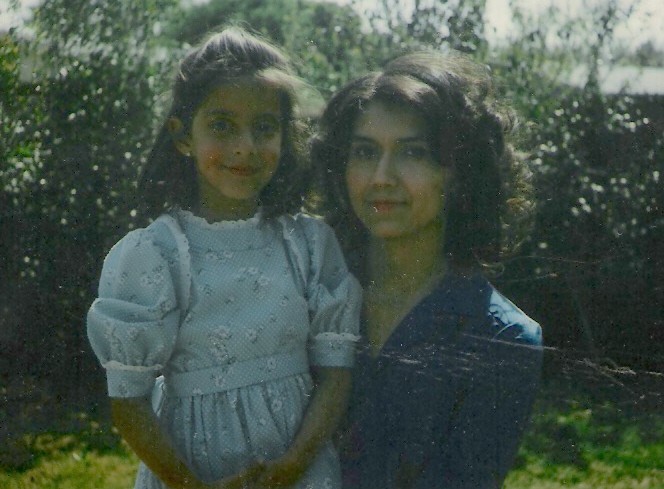 My mother was a single-mom from the time I was 2 years old. She worked long hours and I spent most of my time with my 'Buelita and Nanita and (Grand)Daddy. My mom and I lived in our own home for a while, but eventually moved in with my great-grandmother (my 'Buelita) who owned her own home. I spent a lot of time with my extended family in the area. Outside of school, I was immersed in the Latino community. I know what it means to work yourself to the bone for not much money. I've seen families who struggled to put food on the table. Families with children that were loved very much, but parents didn't always have the time, tools, or the money to help their children succeed. Preschool is sometimes a luxury that many Latino parents cannot afford. And for those who work one, two, maybe three jobs or more, there isn't always time to teach their children at home to prepare them for school. 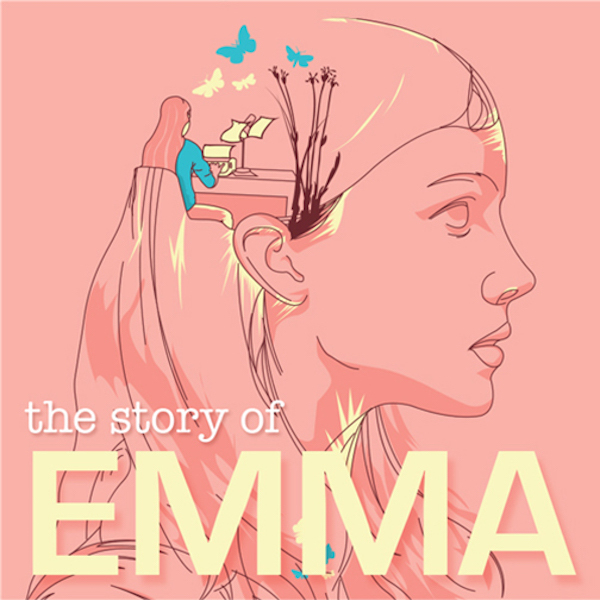 The Story of Emma from Mi Escuelita. Please join us for #TheStoryOfEmma #LATISM Twitter Party on Thursday, December 11, 2014 at 9:00pm. @LATISM and @ColectivaLatina will be joining forces to support of the Mi Escuelita campaign and create awareness about #TheStoryOfEmma. 5 prizes of $50 gift card + $50 donation to Mi Escuelita in winner's name will be awarded during the twitter party. RSVP link: http://cbi.as/qe2ds. What is your story? Do you have an Emma in your family? Maybe you are an Emma? 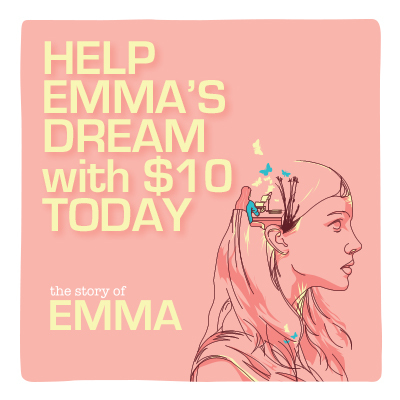 Share your story and Emma's because every share, tweet, or retweet that utilizes the hashtag #TheStoryOfEmma will generate a donation of $1.00, up to $10,000 in donations! Monica, I am teary-eyed! Thank you for sharing your story and you know what? I know of 2 Emmas, and one boy just like Emma. They are my son’s friends from his Spanish playgroup. I also babysit the 2 girls 3x's a week in my home. Since the first day that my child played, and interacted with them I could see the difference! My child was in a private pre-school since he was 2 and I supplement his education with my own "homeschool lessons, outings, and activities." At 6 yrs. old he's a bright, very intelligent, inquisitive, and creative little boy. Loves books, animals, and is a green belt in martial arts. His Spanish is even better than his peers whose first language is indeed Spanish. When we are doing activities, or reading... I can tell how "delayed they are." Their parents are hard-working and loving folks. But like you mentioned in your post, “…they do not have the time, tools, or the money to help their children succeed.” The children have gone straight to kindergarten in the public school system, because it’s the law, and sadly enough they don’t know any of the basic skills in pre-literacy, pre-math, or social skills. It saddens me, but I use it as an opportunity to teach them; and have my child help and assist them as well. We read together, make crafts, and have lots of hands-on activities. I see them struggle with the language, although when they are home they speak Spanish. I often speak to them in English especially when I’m helping them with their schoolwork. I keep stacks of books in our living room for them to look at. I pray that the little bit of time they spend with my child and I they can go to school feeling more confident, and to make a difference in their young lives. I will try my best to make it to the Twitter party, and I have already tweeted! ¡Gracias! You're welcome, and thank you for all you do! child the best preschool education.